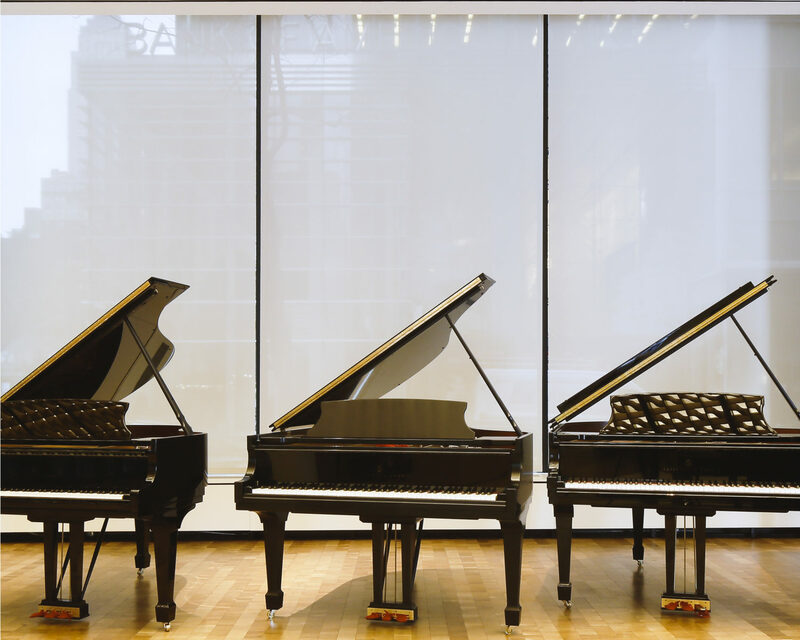 Steinway Hall is located in the heart of Midtown Manhattan, one block from Times Square. The new Steinway & Sons flagship is a state-of-the-art retail and performance space, featuring a full inventory of Steinway pianos. 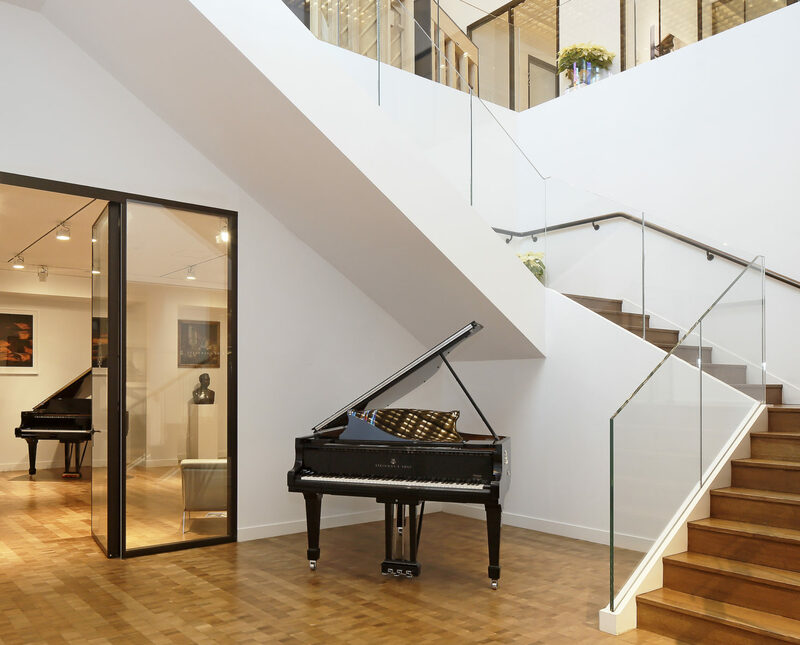 The contemporary space brings together the Steinway heritage with the latest in musical and technological innovations. The craftmanship of the space pays tribute to that of the renowned instruments, including the bentwood decorative ceiling and acoustic paneling. It is both a retail environment and a cultural destination. Altieri’s work included complete systems fit-out over two levels (21,000 sf) of retail, office, performance and recording spaces. The completed mechanical system includes a modular chiller connected to the base building condenser water infrastructure and multiple-zone air handling systems with zone hot water reheat coils and steam humidifiers to support tight environmental targets. The desire for tight temperature and relative humidity control is intended to reduce the frequency, disruption, and cost of retuning instruments. The mechanicals systems are controlled by a building management system consistent with other Steinway locations including remote internet access to enhance the ability for preventive maintenance and troubleshooting. Altieri was also responsible for the design of electrical, lighting control, fire alarm, plumbing and fire protection systems.